Looking for a piece of land that you want and making a proposal on it without performing a land survey of the property might well be the greatest and most costly mistake you can make. Buying land, whether commercial or residential, is often a high-priced endeavor, despite the fact that prices have eased somewhat lately. Land surveyors can assess if you’re actually getting what you’re paying for. What this means is find out whether or not the sidewalks, trees, driveways and even the bird bath is part of the property you’re intending to buy. Land surveying would also determine if the neighbors are encroaching onto the property, which will then mean you’re going to have problems later on with your neighbors. Employing a land surveyor doesn’t only mean they figure out what you’re getting or otherwise not getting – land surveyors are the experts, and they can help with building regulations, wetland regulations, etc. Remember that these regulations can change anytime, but land surveyors ought to be updated on these regulations, or they can refer you to another professional who is. Suppose the existing landowner (the one selling the land) can provide you with an old land survey documents? You should still hire your land surveyor to see whether the boundary monuments are still in position. Also, land surveying done several years back would possibly not show recent changes to the land. If the existing survey is older than about a decade, you should get a new survey. 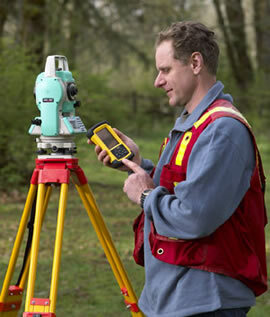 Technology and surveying standards are both far greater now and may give you more confidence in the survey work. Second, that land survey was completed for that owner. He could have instructed the surveyor not to show specific things on the drawing. At least have a land surveyor go out and study the parcel with this old survey in hand. We have seen numerous cases where a new land survey would have saved the buyer thousands, so don’t be a victim. I’ve heard many people say having a land surveyor is nothing but an unnecessary expense. I’ll tell you what’s unnecessary: the stress caused by paying a lot of money for something and finding yourself not receiving what you were expecting. If you’re smart, you will hire a qualified land surveyor before making any land purchases. For assistance on performing a land survey in Oxford, AL or the surrounding areas, call us at (256) 733-1733 or send us a message by clicking here.